In the heart of Moretown development, a short walk from the Tower of London, Moretown Belle is an energetic restaurant setting capable of hosting viewing for a variety of sporting events. Viewers can be assured comfort from the banquette seating, designed and manufactured by Nova Interiors. 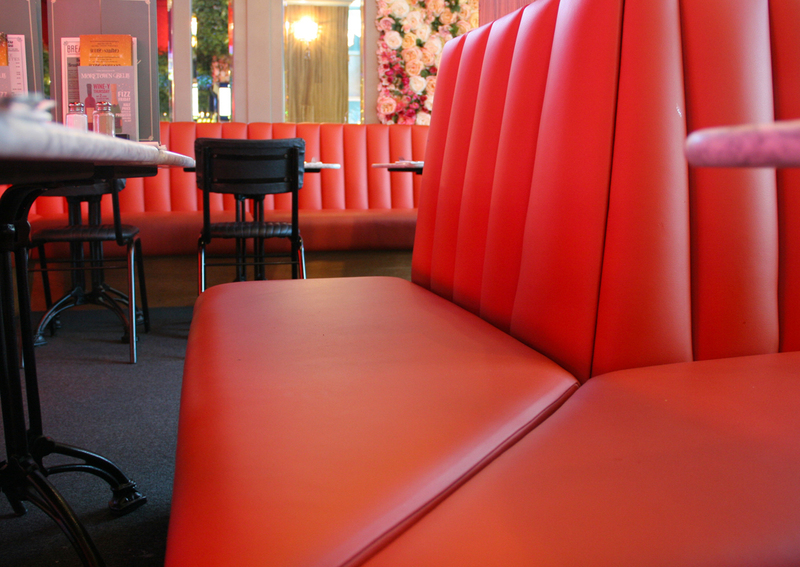 Belle Pubs and Restaurants utilised Nova Interiors bespoke production knowledge of banquette seating to develop: straight, L shaped, C shaped, inverted C shaped and booth banquette seating. Nova Interiors manufactured each unit, upholstered with Muirhead leather for maximum comfort and durability. 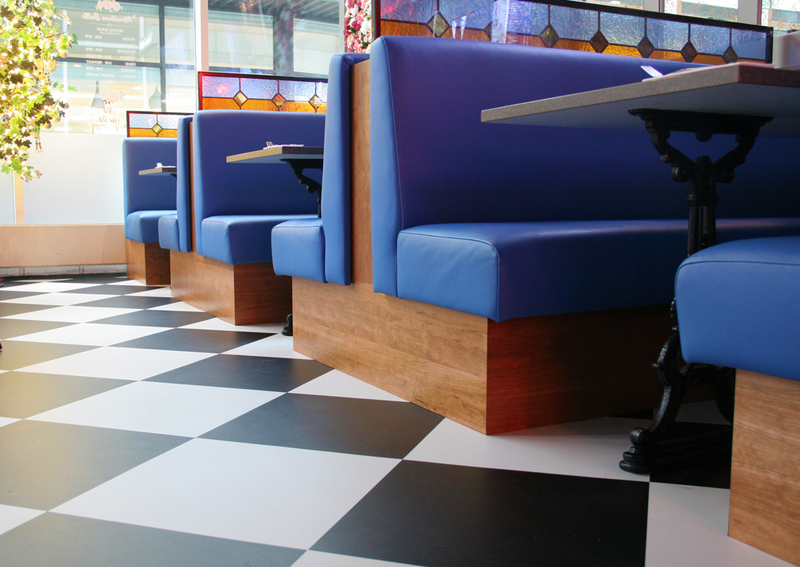 The bright, contrasting banquette units were all complemented with stained oak veneer kick boards. To view full PDF view here.